Thames Valley Police are investigating two incidents that occurred within minutes of each other in Adderbury on Friday evening (11th January 2019). The first offence occurred when a litter bin was set alight in the Lucy Placket Playing Field. 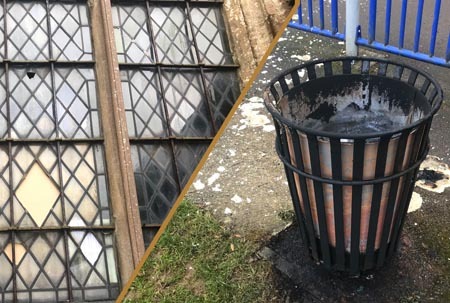 There were reports by alarmed local residents of “loud bangs” and it is believed this was due to some of the items contained within the burning bin. 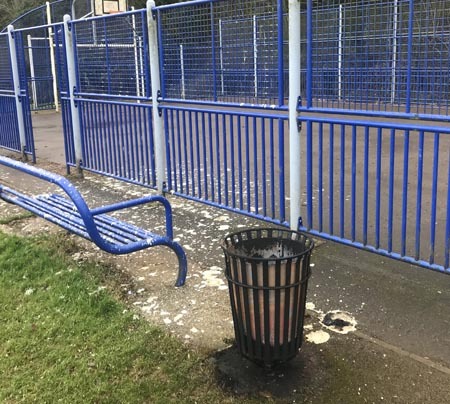 Oxfordshire Fire and Rescue have confirmed to Adderbury News that they sent one appliance to extinguish the fire, which was located in the litter bin closest to the MUGA (multi-use games area). Thames Valley Police believe the fire was started sometime between 6.20pm and 6.45pm and is being treated as arson. 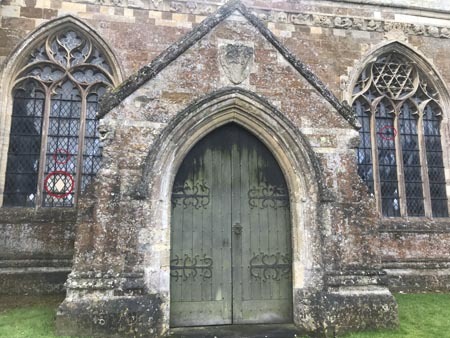 A short time later damage was caused at St Marys Church, Adderbury where stones were thrown smashing some of the window panes. Three youths were seen leaving the area between 7pm and 7.10pm. Thames Valley Police are asking for anyone who saw anything, or has any useful information to call them on 101. The arson attack has been given reference 43190011246 and criminal damage 43190011261.